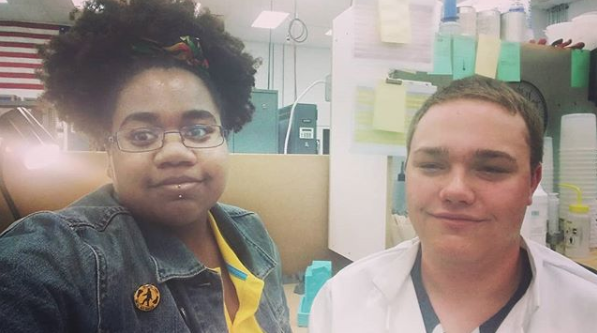 We previously reported on the various going ons of our two summer interns, Ashley (our marketing intern) and Nolan (our additive manufacturing intern). Their time here at ProtoCAM is drawing to a close, and while we’re sad to see them go, we’re thrilled to see where they’ll head to from here! As they wrap up their last week, we asked them about their time here at ProtoCAM. What kinds of skills did you learn in your position at ProtoCAM regarding marketing (Ashley) and advanced finishing and urethane casting (Nolan)? What did you learn about the 3D printing industry? How do you think your time at ProtoCAM has impacted your future career goals? Has your time here demonstrated how your skill set and pursued paths of learning can we used across different industries? What would you say to future ProtoCAM interns about your time here? Do you have any advice for those seeking careers in this industry? Ashley will continue to pursue a Communication Arts degree at Virginia Commonwealth University in the fall, while Nolan will continue to make strides in determining his future higher education and career goals.